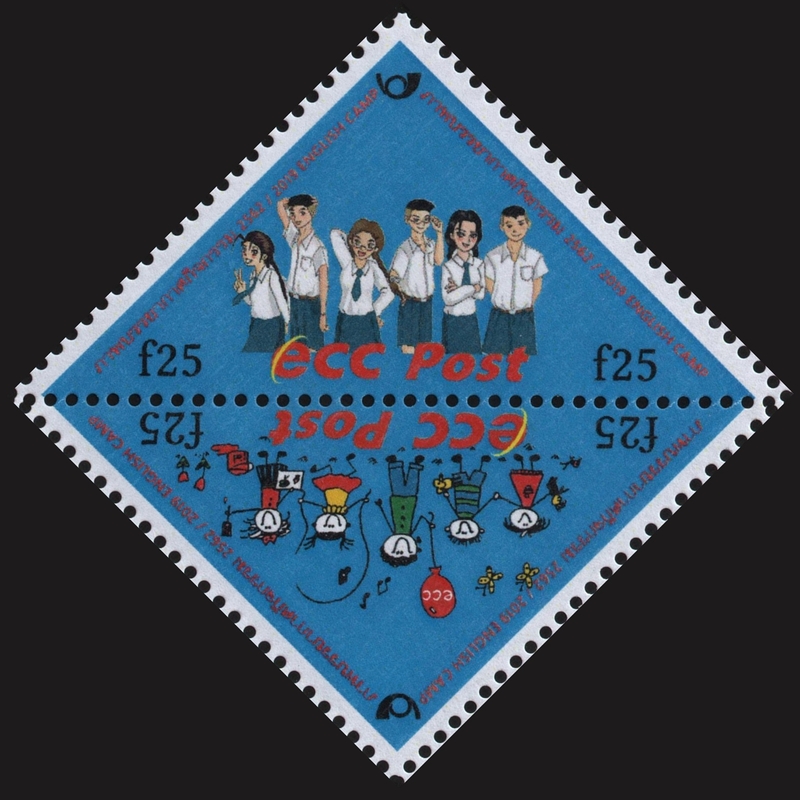 Unfortunately, I didn’t have much of a philatelic week last week as most of my time was spent working on school-related tasks. The end of the long school year is upon us and next week is comprised solely of final exams — tests in English and Chinese subjects Monday, Tuesday and Wednesday with the Thai language exams occurring on Thursday and Friday. My M3-level students (roughly equivalent to the Sophomore level of high school in the United States) will take entrance exams for different schools on Monday before starting their holidays next Tuesday). The 2019-2020 school year will begin in early May, probably the Tuesday following the Royal Coronation of HM King Maha Vajiralongkhorn (Rama X). There should be plenty of Thailand Post philatelic items surrounding that long-awaited event. Postccrossing postcard received on March 2, 2019, bearing one stamp from 2017 and two from 2018, nicely postmarked (many covers and cards from the U.S. miss postmarks entirely). Other than receiving some postcards and covers in the mail at mid-week, I have not added any new stamps to my collection in quite some time. In fact, I believe the most recent was the Symbol of Love stamp issue I bought at the local post office during the first week of February. The Leonardo da Vinci stamps from the UK have yet to arrive which are the only non-Thai new issue I’ve ordered in 2019 so far. At this point, I am trying to limit my stamp purchases in anticipation of attending SINGPEX in Singapore at the beginning of August. My stamp budget has been redirected to my travel budget (which, of course, will once again become a stamp budget once I am at the exhibition). It has been more than 20 years since I attended such a major show (the last time was PACIFIC 97 in San Francisco). My recent articles for A Stamp A Day have seen me working way past midnight (up to 4 a.m. on one occasion). Luckily, my earliest lesson on any given day is 10:20 so I can sleep in a bit during the mornings. I am still planning a hiatus of sorts upon reaching Post #1000 later this month (today’s article will be number 980). At the moment, I am making an effort to use stamps from entities that have only been featured once or twice during the life of the blog. Thus, there have been recent entries with stamps from Ajman, Bangladesh, Guernsey, Sierra Leone, and the UAE when other topics (or stamps) would have been possible. I am also trying NOT to use U.S. or Thai stamps for as long as I can to give other entities a fair shake. 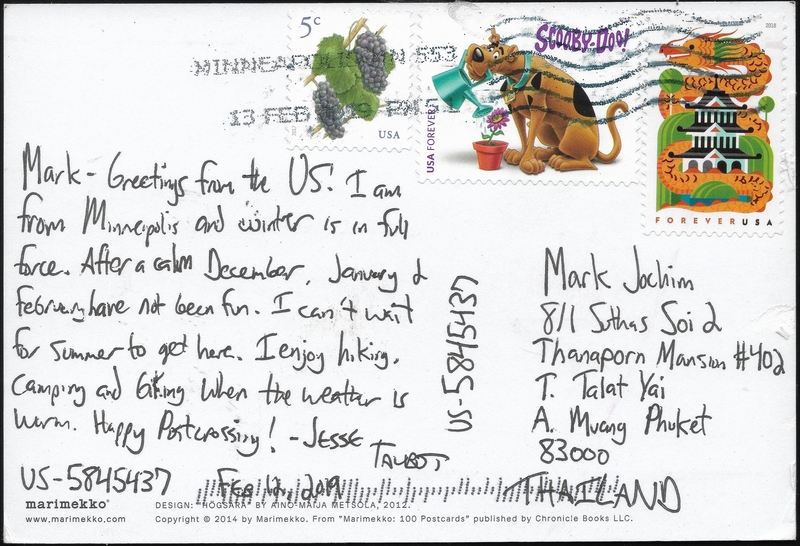 Stamps from the United States have been featured 198 times while those from Thailand have seen 96 entries (including 5 from Siam and 1 from the British Post Office in Bangkok). The next entities with the most entries are Germany with 30, Great Britain with 27 and Canada with 26; those numbers don’t include colonies, occupations, foreign post offices, or forerunners (such as the North German Confederation or various future provinces of Canada). France and New Zealand are tied with 12 entries each, Australia has 11 while Austria and the Isle of Man each have 8, rounding out the “top 10”. Every other stamp issuer featured on A Stamp A Day has six or fewer entries. There are still quite a few with just one, mostly reflecting the number of stamps I have in my collection from that particular place. I currently have stamps from 364 different stamp-issuing entities. Only one (Ross Dependency) has yet to see an article on ASAD, something I plan on fixing in the near future. In trying to highlight the less covered, I may also skip a few “obvious” holidays in the weeks to come. That is okay with me (although it seemed quite odd NOT to be writing a Texas-related article yesterday on Texas Independence Day; I was born in Dallas and consider myself a Texan above all else). I recently came across a typically beautiful stamp from the Vatican City via a Facebook post (where a lot of my New Issues information comes from). 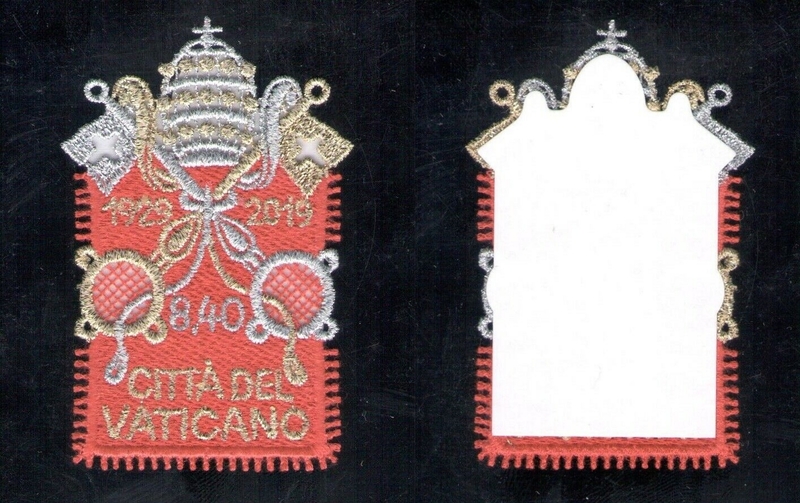 One of a number of stamps released on February 11 on a variety of subjects and one of several commemorating the 90th anniversary of the Vatican itself, this is the second embroidered stamp to be issued this year (the first was by Luxembourg). I love these sorts of stamps but I wish they were much more affordable. February 21 each year is celebrated as International Mother Language Day and I wrote an article about it for A Stamp A Day, illustrated with a number of stamps primarily from Bangladesh where the special day had its origins. Towards the end of the article, I mentioned that a set of stamps was due to be released that day by each of the three United Nations stamp-issuing offices (New York, Geneva and Vienna) under the theme of “World Languages.” At the time, I was frustrated at not being able to find illustrations of the three panes of six (not even on the UN Postal Administration website on the date of issuance). 55¢ stamp from the first row of the United Nations headquarters pane of World Languages stamps. The correct word ‘Habari’ is shown at left. The original design featured the word ‘Hujambo.’ The text of the word below it was also updated, and another word in the pane selvage was changed as well. 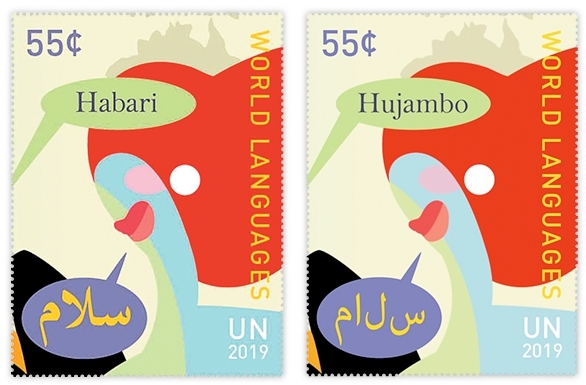 All three panes of the 2019 United Nations World Languages issue. On the Geneva pane, the second stamp in the top row, the first stamp in the second row and words in the selvage are different from the originally printed stamps. On the Vienna pane, the first stamp in the second row was updated, and an additional four words were updated in the selvage. The official issue date of February 21, 2019, remains unchanged, but there will be a delay in delivering the stamps because of the time needed to reprint them. In the meantime, a set of three definitives — one for each office — will be released on March 15 on the subjects of “Stop Sexual Exploitation and Abuse,” “Gender Equality” and “Migration,” with a first day ceremony to be held at the March Party stamp show in Strongsville, Ohio. 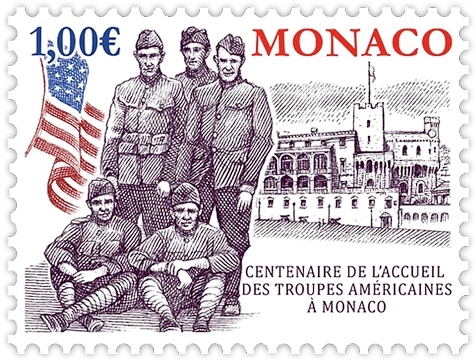 Also on March 15, Monaco is set to release a single stamp marking the 100th anniversary of U.S. troops convalescing in Monte Carlo. According to the announcement by the Office des Timbres, “After the end of the First World War, Monaco welcomed a number of convalescent American soldiers. Between January and May 1919, these men were accommodated at the Riviera Palace in Beausoleil.” Yves Beaujard designed and engraved the stamp. It was printed in three colors (black, with red and blue for the flag, denomination and country name) in panes of 10. United States – Alabama Statehood Bicentennial (February 23, 2019) – Some dealers on eBay are mentioning this stamp as Scott #5360 but this is unofficial as Amos Publishing has yet to assign catalogue numbers for any U.S. stamps past the end of January. 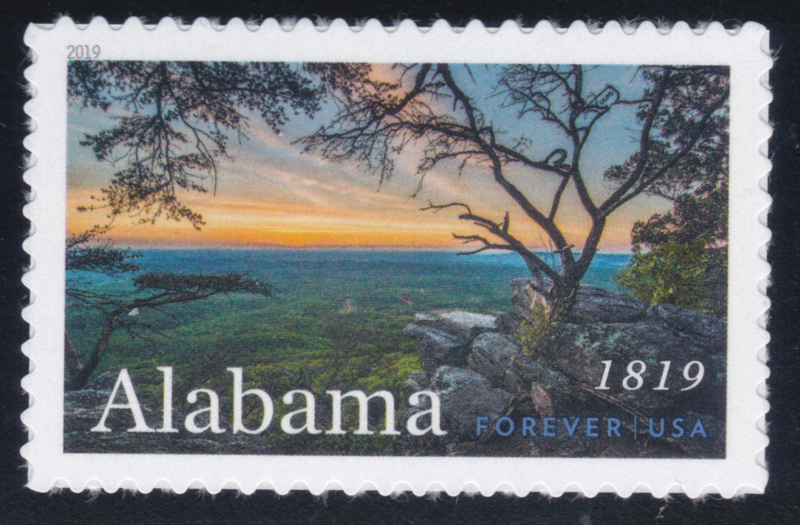 The most recent U.S. stamp was issued on February 23 marking the bicentennial of Alabama. I’ve always liked territorial and statehood stamps and this design is no exception. 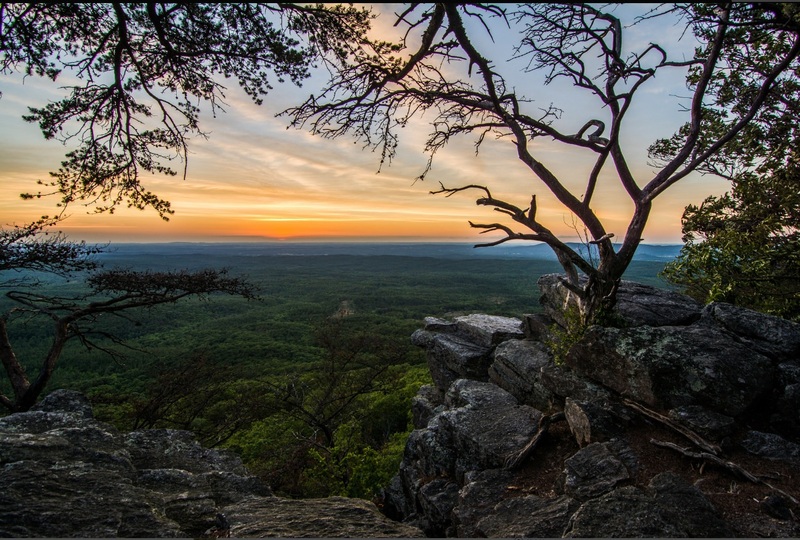 The photograph used for the stamp was taken by Alabama photographer Joe Miller at sunset from the Pulpit Rock Trail in Cheaha State Park. With Pulpit Rock in the foreground, most of the area in the valley below the overlook is part of the Talladega National Forest, which surrounds the state park. Greg Breeding designed the stamp using Miller’s existing photograph. My last visit to the state was in late December 2003, about a year before moving to Thailand, when my family spent the week following Christmas at my father’s condominium in Pensacola, Florida. It snowed, of course. My dad and I took a trip to Mobile one freezing afternoon to tour the USS Alabama and the nearby submarine. A first day ceremony was held at Constitution Hall Park in Huntsville. Alabama was the 22nd state admitted to the Union on December 14, 1819; to commemorate that event, the American Philatelic Society has just released an update to its Alabama topical album which can be downloaded for free. Including the new release, there are spaces for 87 Alabama-themed stamps in the album. Original photograph by Joe Miller which was used for the Alabama Statehood Bicentennial stamp, released on February 23, 2019. The biggest news story in this part of the world last week was the summit meetings in Vietnam between U.S. President Donald Trump and North Korean Supreme Leader Kim Jong Un. Politics aside, I have had a fascination with North Korea for quite some time and was set to travel there a couple of years ago before President Trump decided to make it illegal. Much like going to Cuba, I would love to visit a place frozen in time with all the “weirdness” that that entails (I really would like to purchase the various anti-American propaganda stamps, postcards, posters, etc. that are openly sold in the capital; I like these much as an otherwise quiet person might enjoy violent horror movies). Thanks to a mention on the American Philatelic Society blog pointing me to a November 2017 article on North Korean Review Online about the fascinating (and often bizarre) pieces of art in miniature, I’ve learned a bit more about the background in creating these. 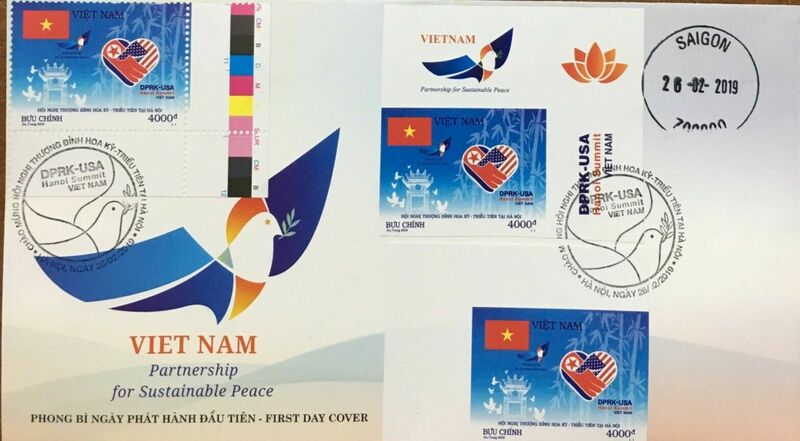 I anticipated that Vietnam would release stamps to mark the summit and that they did, the day before the two leaders arrived. There is one basic stamp design that was issued in several different formats — miniature sheets of 8 (both perforated and imperforate), sheets of 25, booklets of 8, personalized stamp sheets, and what appears to be a souvenir sheet of one. There were also several numismatic items released. Most of the listings I have seen from Vietnamese dealers on eBay offer to mail orders for the stamps within first day covers; the prices are low so I will be placing an order tomorrow. As far as I know, North Korea has yet to release any stamps marking this summit with President Trump, or the one in Singapore last year. 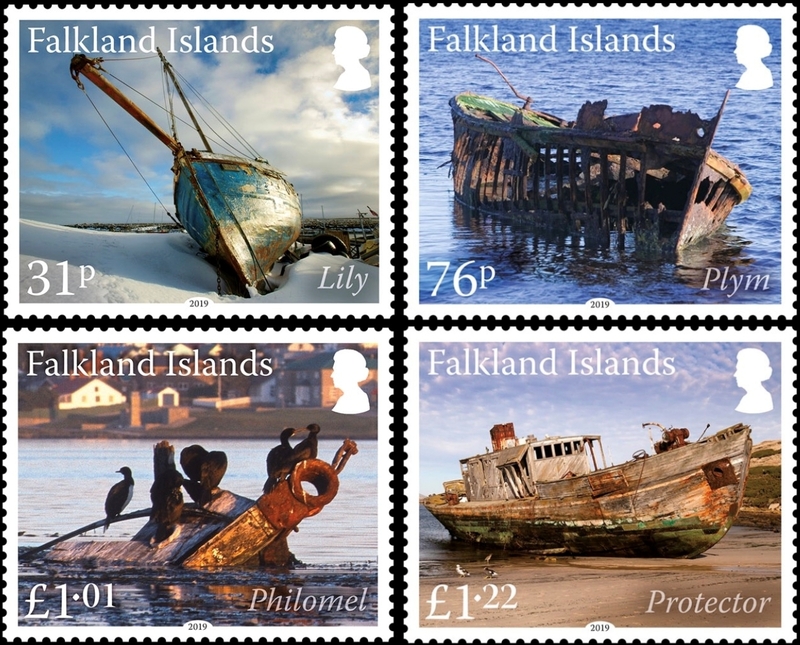 Another stamp release that I will be purchasing in the near future is the attractive set of four due to be released by the Falkland Islands tomorrow, March 4. This is Part III of a series begun in 2017 featuring photographs of local wrecks in and around the South Atlantic Territory. According to the highly recommended Commonwealth Stamps Opinion blog, the stamps utilize “beautifully chosen photographs by Tony Chater as their designs; the issue was lithographed by Cartor and is perforated 13 x 13.5.” It is a nice set but I have been unable to access the relevant page on the Pobjoy Mint website, which acts as agents for Falkland releases. The Falklands Post Service Limited site mentions the issue but has a blank page for it. Such is the luck of somebody trying to track down information about new stamp issues; it can be real hit or miss sometimes. 5341 (15c) People Wearing Uncle Sam’s Hats coil stamp, serpentine die cut 11 vert. All of the numbers will appear in the Catalogue Update section of the March 18, 2019, Linn’s Stamp News. 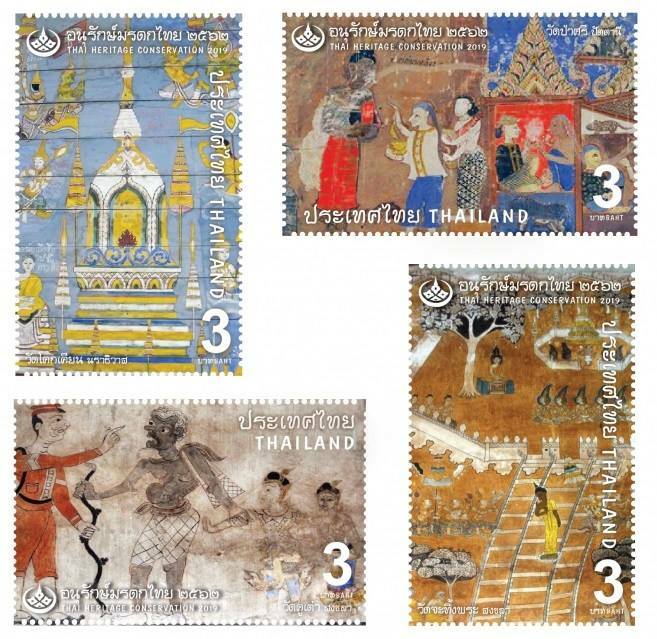 The next Thailand Post release won’t occur until April 2 with the annual Thai Heritage Conservation Day set (most probably including a miniature sheet of the four designs as well as each design being released in a pane of 10). However, I am anticipating an announcement later this month of a special issue to mark the Royal Coronation of HM King Maha Vajiralongkhorn (Rama X) which will occur May 4-6 following a long period of other Royal events. This year, May 6 will be a mandatory holiday (the next school year will probably begin the following day) and in future years, May 4 will be added to the calendar of holidays (the date will be known in Thai as Wan Chattra Mongkhon). At this point, it appears that there will be a single 10-baht stamp to commemorate the coronation but no formal details have been revealed. I plan to watch the ceremonies on television but will make an effort to journey to Bangkok in October or November when they have the Royal Barge Procession. I attended this event in 2006 during the ceremonies marking the late King Bhumibol Aduyladej’s 60th anniversary of rule and then again during his 80th birthday celebrations. It is a spectacular event not to be missed. Closer to home, one of the many philatelic pursuits I am planning during my upcoming school holidays (I will still have a few scattered business courses but not the intensity of daily high school lessons) is to begin designing a new batch of Republica Phuketia local post stamps. A few ideas that I had recently include a set illustrating “Schools of Phuketia” (starting with my agency’s new building — we are moving to the Old Town area in May or June — and perhaps one per school term, reflecting whichever school I happen to be working at) and one highlighting some of the interesting Street Art in the historic district. Also, now that Phuket Town has been named a UNESCO World City of Gastronomy, I may have to create some stamps picturing our famed local dishes. I still have one printed, but yet-to-be-released issue designed to be issued in conjunction with one of my agency’s English camps. Several times each year, we spend three days (usually in a jungle or beach resort in a neighboring province) with large groups of students, mostly playing English games and preparing for an end-of-camp “show” Every year, I create some sort of souvenir for the children. A few years ago, we had an ASEAN theme so I made event passports (based on the well-known passports one sees at international philatelic exhibitions); each activity station had a different rubber stamp from a different ASEAN country and the kids had to work really hard to collect all ten over the course of the camp. This year, I plan to create an in-camp postal system with the kids writing and delivering postcards. 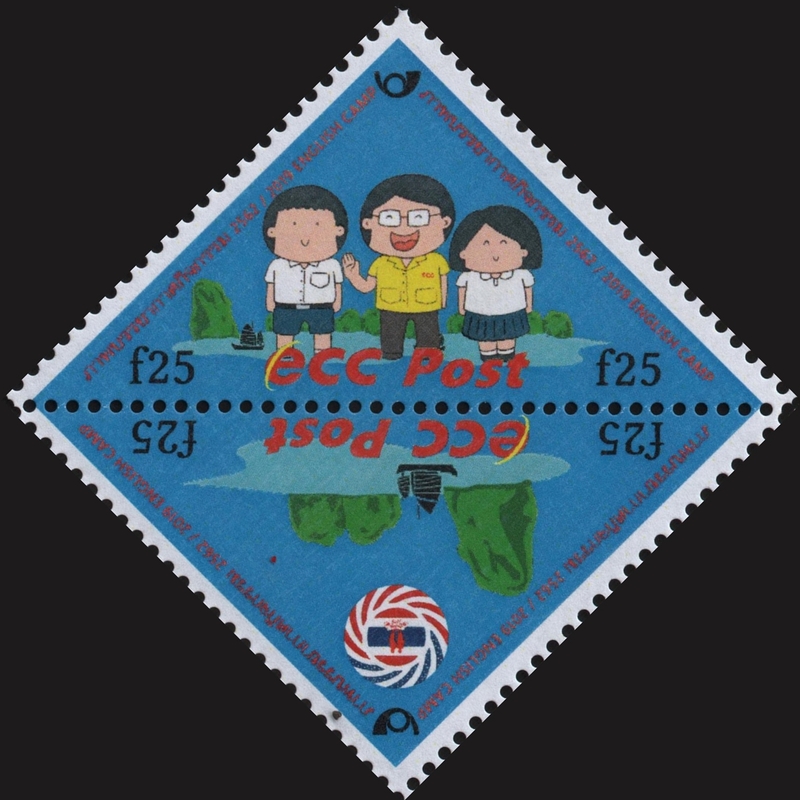 I designed my first triangular-shaped stamps under the ecc Post imprint (ecc is the name of the agency I work for and, for the local post, falls under the auspices of Republica Phuketia). However, we have yet to host an English camp this year. There are usually big camps in January, March and June but this year we will see the departure of our Head Teacher following about seven years in that position and our impending move. I don’t believe we will have a camp at all until much later in the year. The triangular stamps will remain unreleased until that time. I hope that once the school holiday begins (and more so when ASAD goes on hiatus), I can get caught up with my New Issues pages; the three that have been published to the blog thus far are in various states of completion with the January page updated through the 23rd of that month. I have decided that I am not a big fan of entities that release a bunch of unrelated stamps on the same date (such as the U.S. on January 27 or the Vatican on February 11). Switzerland does this as well and has its first big batch of the year due later this week. March 7 will see stamps commemorating the Year of the Pig (let us hope that this is the last of the Chinese New Year stamps as I’ve grown weary of them; does Switzerland even have much of a Chinese expat community? 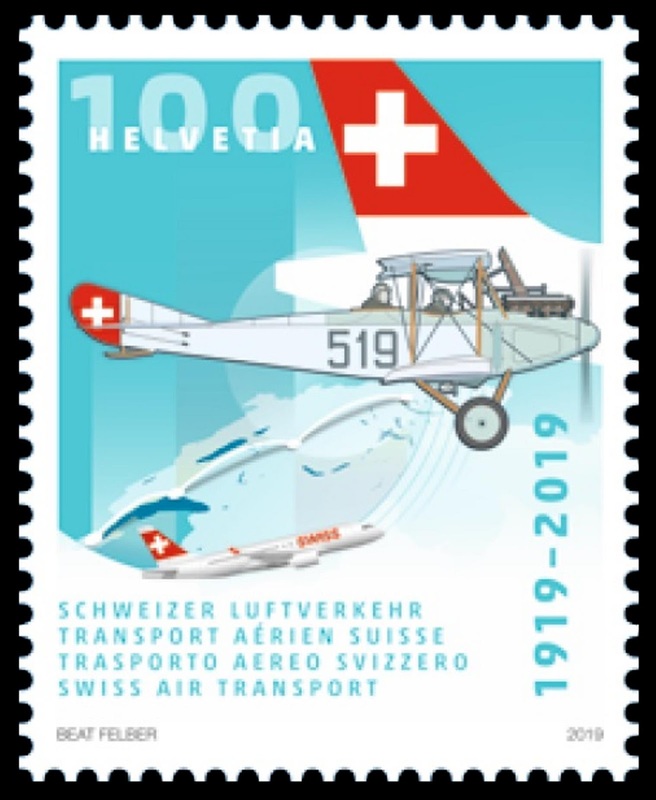 ), the centennial of Swiss Air, post buses (I put together an article about the Swiss system last October), and a block of four with cute animals. Finally, I have changed the name of this update column from “Weekly Phila-Bytes” to “My Philatelic Pursuits”, thus reflecting the name of the blog itself (the simplest solution). For a week in which nothing much philatelic occurred in my life, I certainly found a lot to write about! Well, until next week….